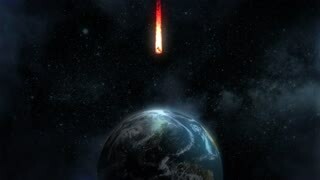 The Earth is revealed in space. 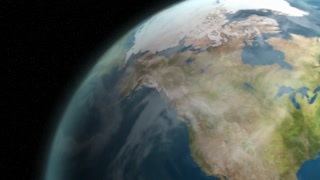 Camera zooms from empty space to the Earth, focusing on North America. Spinning Earth Globe. Close-Up. Full HD. 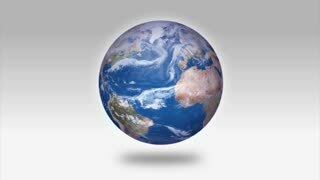 UNITED STATES 1960s: Animation of Earth hemisphere rotating, penguin and polar bear images at poles / Hand takes portion of Earth, light shines on northern hemisphere. The world trade, global shipping routes of container. 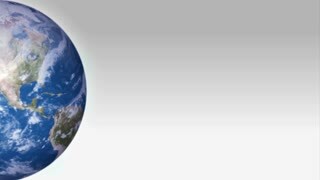 A rotating Earth over a white background. Alpha matte included! A view of the big blue marble Earth as seen from high orbit in space. Day/night terminator over the western hemisphere. Earth Globe with Dust Particles in the Classroom. Humpback whale calf with mother in hemisphere of sunlight underwater ocean. 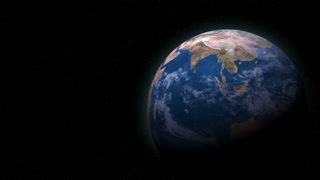 4K Slowly rotating realistic earth from space. Day side. Seamless looping. High quality 3d animation. Elements of this image furnished by NASA. 4K Beautiful Sunrise over North America. Realistic earth with night lights from space. High quality 3d animation. Elements of this image furnished by NASA. 4K Beautiful Sunrise over Europe. Realistic earth with night lights from space. High quality 3d animation. Elements of this image furnished by NASA. The Northern Hemisphere as viewed from above the North Pole. The Northern Hemisphere in winter.